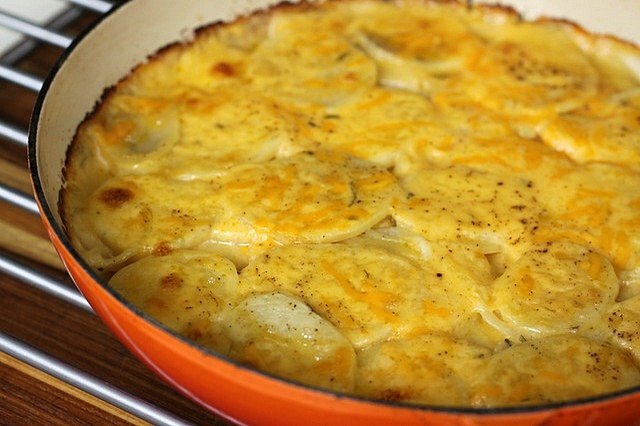 Want a simple recipe for homemade scalloped potatoes? 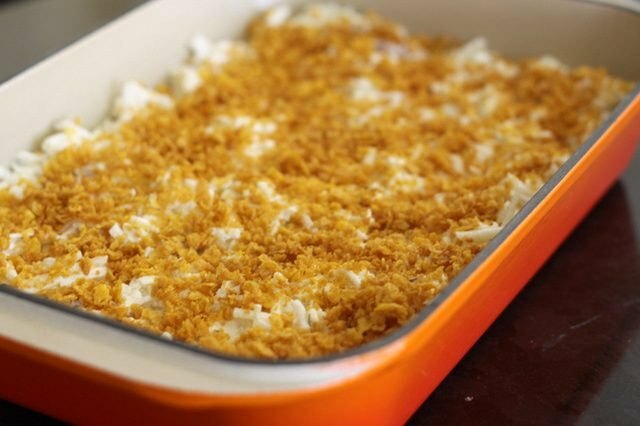 This basic technique combines a handful of ingredients for comfort food that everyone always loves. 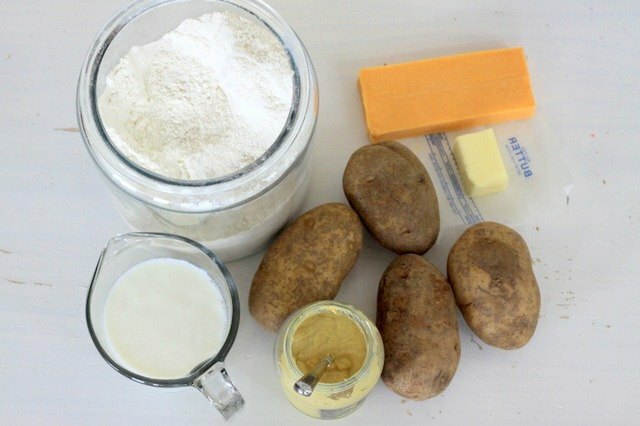 Start by making the cheese sauce to slather over your thinly sliced potatoes (which you'll prepare next). Melt the butter, add the flour and then stir. Stir constantly for about 1 minute until all flour has mixed in with the melted butter. Then slowly add the milk, stirring constantly. Cook for 2 more minutes until the milk is totally incorporated and the mixture becomes thick and bubbly. 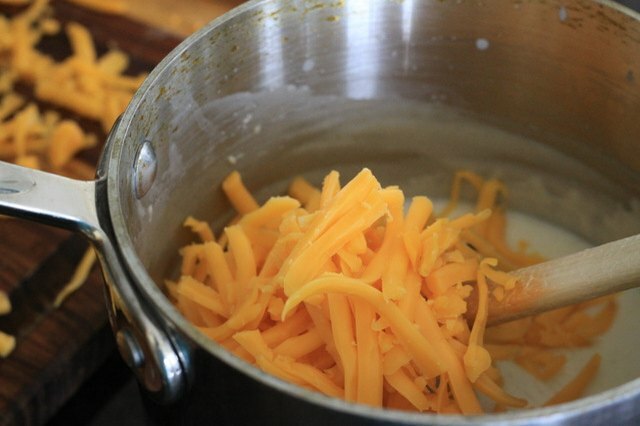 Take your pan off the heat and stir in 1 3/4 cup of cheese, reserving the last 1/4 cup to sprinkle on top. If you're using Dijon mustard, add that teaspoon now. Stir until the cheese has melted. Using a paper towel, lightly grease the bottom of your pan with a little butter. 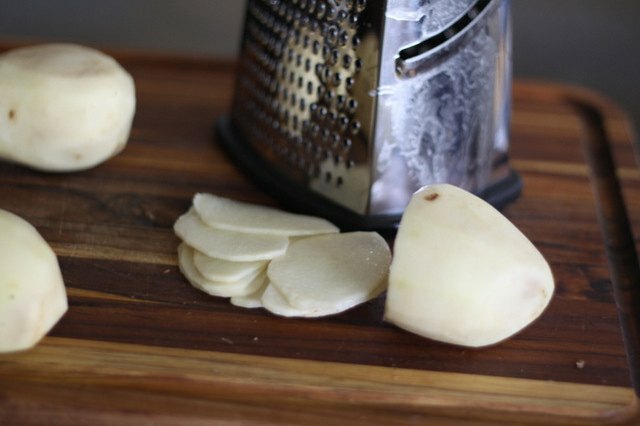 Next, peel and slice your potatoes as thinly as possible. A mandoline slicer works well, or the side of most cheese graters has a slicing blade which makes quick work of this job. 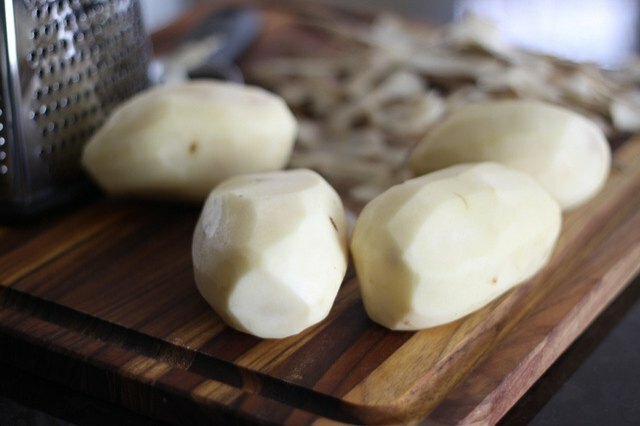 If you want to prep your potatoes ahead of time, store them in a bowl of water to prevent browning. 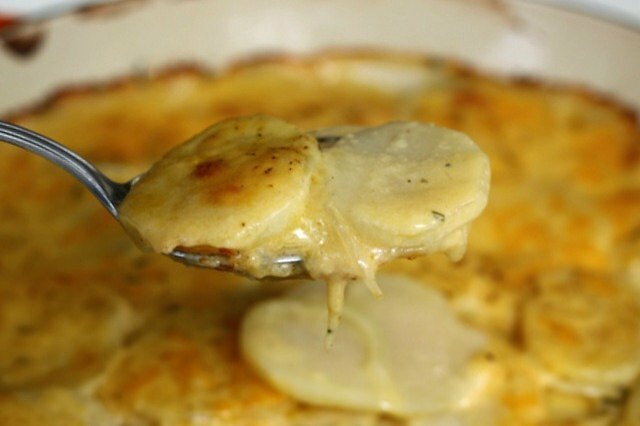 Layer half of your potato slices in the pan, then pour half of your cheese sauce on top. The melted cheese sauce should fill every nook and cranny. Repeat with the second layer, nestling in the onion slices and rosemary (if using), and then add a sprinkle of salt and pepper. 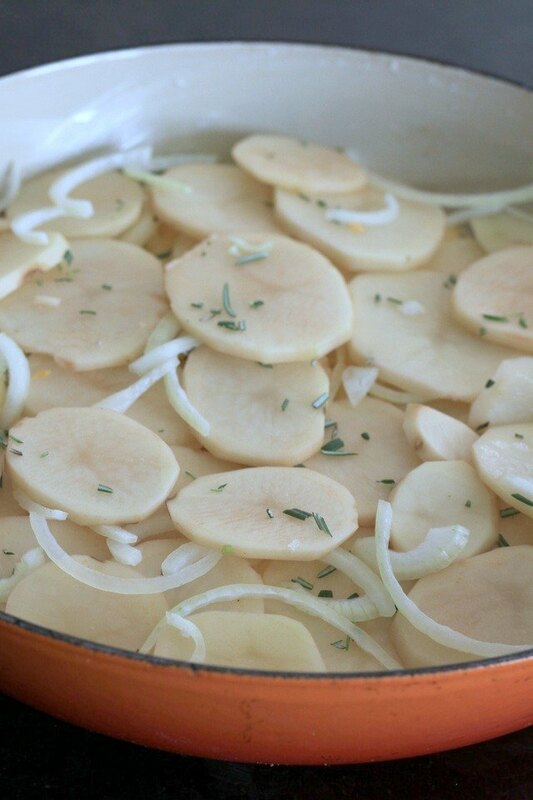 Seasoning is very important because potatoes don't have much flavor on their own. 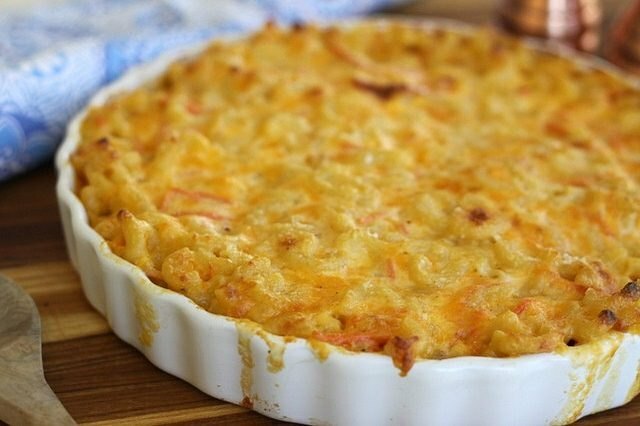 Pour the remaining cheese sauce over the second layer of potatoes, add salt and pepper and then the last 1/4 cup of cheese. Bake for 30 minutes uncovered. Remove the cover and bake for an additional 25 minutes. 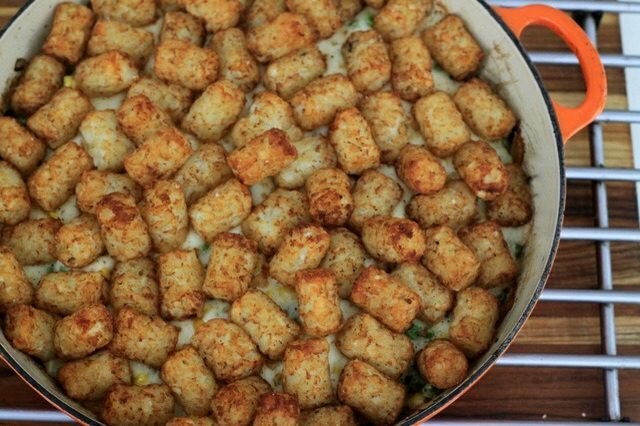 You'll know it's done when the potatoes are soft and the cheese is golden and bubbly. Allow to sit for 10 minutes before serving. Enjoy!